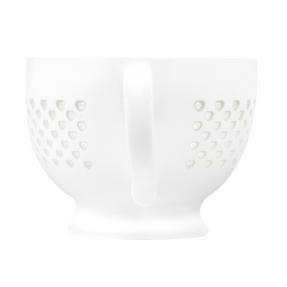 Put the kettle on, sit back and relax in style with this Cambridge Lace mug. Featuring a sweet, simple polka hearts design, this footed mug is guaranteed to look charming in any setting. 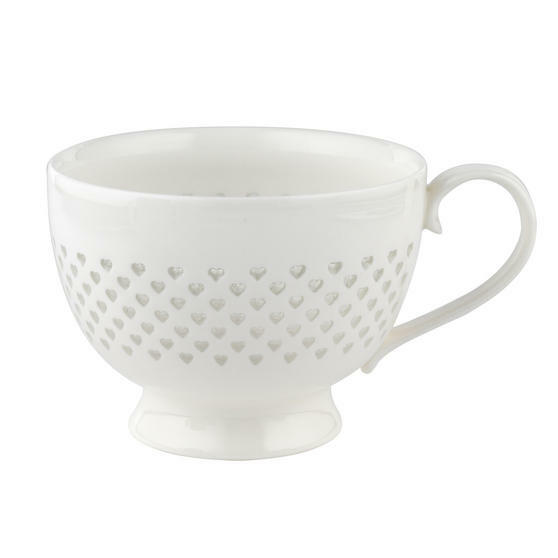 Crafted from white porcelain china with a gloss finish, this elegant mug is practical for everyday life as it is microwave and dishwasher safe, making it versatile to use and convenient to clean. Ideal as a gift on any occasion or to treat yourself, this beautiful mug will look lovely and cosy in your home. 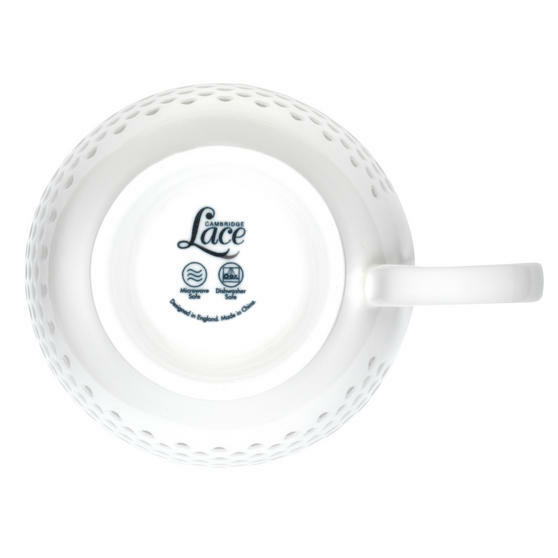 This exquisite quality Cambridge Lace mug, made from porcelain china with a gloss finish, looks great and is perfect for everyday use. 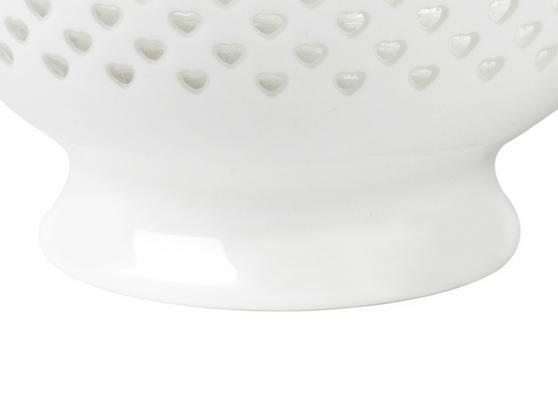 Its unique design features a lovely lace-inspired clear hearts pattern, plus the mug is also dishwasher safe for hassle free cleaning. Also suitable for use in the microwave, you can easily warm a relaxing mug of milk in the evening, or prepare a mug of soup at work. 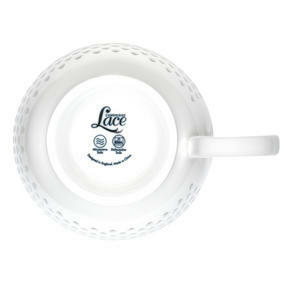 With a top diameter of 11.5 cm and height of 8.6 cm, it comfortably holds 500 ml, perfect when you need to unwind with a large coffee. 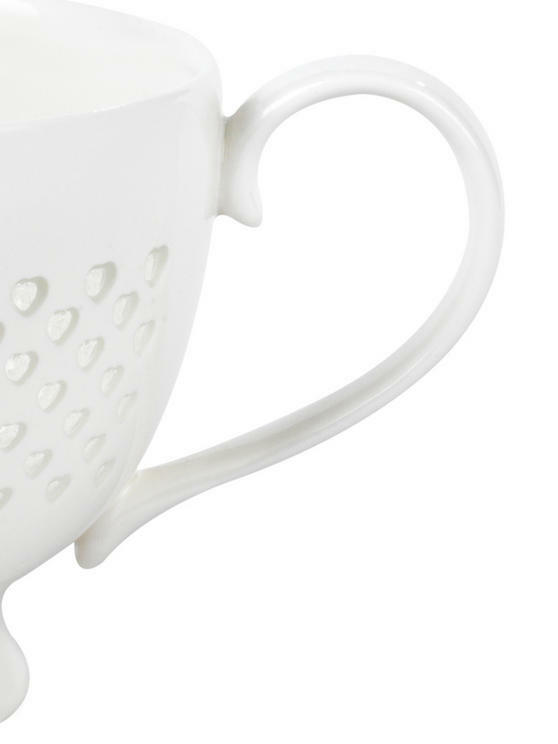 Whether for work, home or a friend, this delightful mug is guaranteed to impress, so you can enjoy a peaceful break wherever you are.